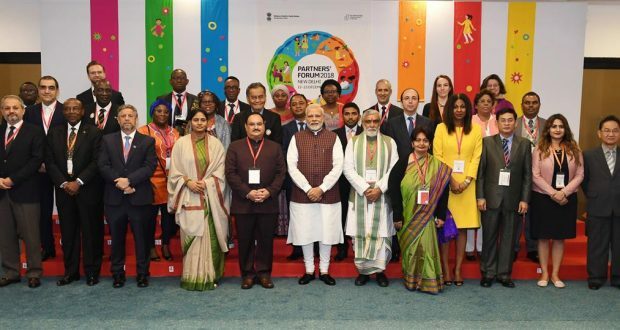 Newdelhi:12/12/18:The Prime Minister, Shri Narendra Modi, will inaugurate the fourth Partners’ Forum on 12th December at New Delhi. The Government of India, in association with the Partnership for Maternal, Newborn and Child Health (PMNCH), is hosting a two-day international conference on 12th and 13th December 2018, bringing together about 1500 participants from across 85 countries to improve the health and well-being of women, children and adolescents. The invited countries have been selected from across all regions and income levels and include countries that are currently chairing key global and regional bodies (e.g. G7, G20, BRICS, etc. ).